One of the most contentious ideas I suggested in The Disney Theory was that there are some Disney films that also exist as fictional films within the Disneyverse. Obviously this concept requires some brain-bending to make any sense, but the evidence supporting it seemed compelling enough for its own article. There are two fictional films we know for a fact exist in the Disneyverse. 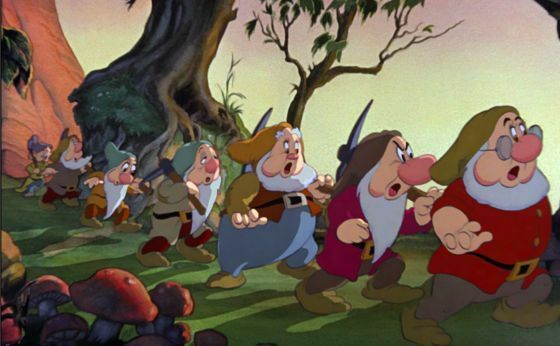 The first is (appropriately) Snow White and the Seven Dwarves, which was of course also The Walt Disney Company’s first feature film. We know this because of Oliver & Company, where a loud-mouth chihuahua named Tito happens to sing ‘Heigh Ho’ to himself. Because he saw it in a movie. 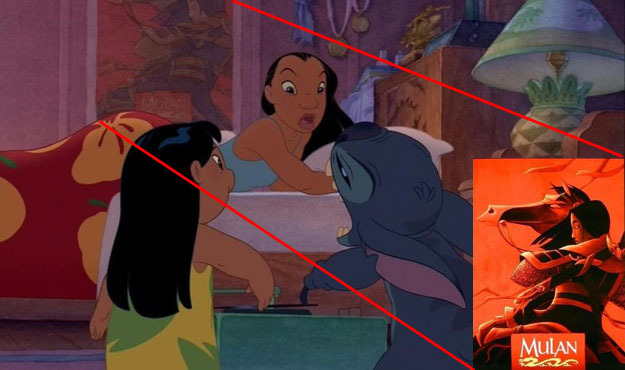 This is the same reason Lilo’s sister Nani in Lilo & Stitch has a poster of Mulan on the wall – the same poster which was used to advertise the movie in our world. There is also the possibility that we can include Dumbo in our list of the Disneyverse’s fictional films, but this has been met with some dispute. 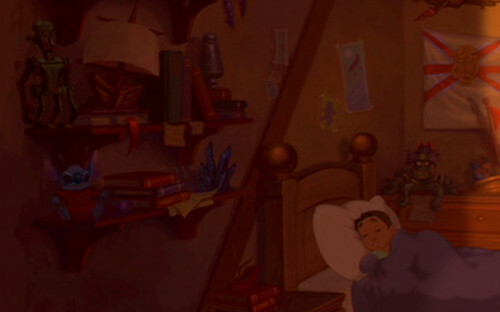 Dumbo appears as one of Lilo’s cuddly toys in Lilo & Stitch. The obvious assumption is that this is also movie merchandise, since we already know from her sister’s poster that this is a family that likes animated movies. 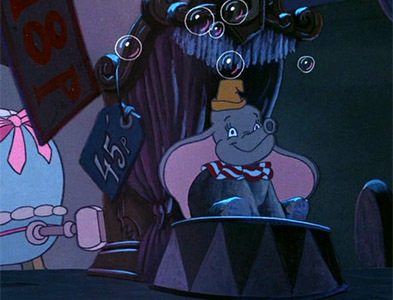 The fly in the ointment is that Dumbo also appears as an ornament in Basil the Great Mouse Detective, which is set before the dawn of cinema. As many pointed out in response to The Disney Theory, word of a travelling circus’ flying elephant would probably spread far and wide. Those visiting the attraction would probably want a souvenir from their visit, which means the British household in Basil could have recently returned from a trip abroad to see this American wonder. It’s definitely a convincing idea, as Stitch’s reputation too stretches far enough for him to appear as a toy in the early flashbacks of Treasure Planet, and Stitch’s influence on the Disneyverse is great enough that there is no way he can be fictional. But what if Stitch and Dumbo have this in common? What if they were both real events in the Disneyverse that later became fictionalised and retold by a fledgling film-maker? What if Professor Porter started the House of Mouse? We see in Tarzan that Professor Porter owns a lot of the equipment of early cinema. He is also wealthy enough to lead an expedition and eccentric enough to be fascinated by gorillas, wild-men, and basically anything else he comes across. He also owns a trinket, seen briefly in Tarzan, that opens up a world of possibilities for our understanding of the Disneyverse’s Disney. Like Tito singing ‘Heigh Ho’, there is no good reason for Professor Porter to own a toy of Mulan’s dog, when we already know Mulan is a fictional film in this world. The only conclusion can be that this trinket pre-dates the dog in the movie. That the movie Mulan was made by somebody who knew the Professor and wanted to dedicate a part of it to him. Maybe someone like his daughter? 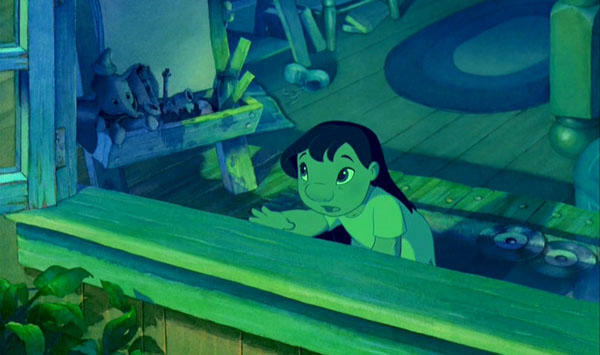 Which means Jane could be the first Disney animator. It’s likely that with a wild husband like Tarzan her family might struggle when returning to the high-society of London. So it makes sense with the new prospects across the Atlantic opening up that they might travel to America to start a new life. It is here that Professor Porter would turn his hand to movie-making with the help of his artistic daughter. Later Jane would take over the studio, and dedicate Mulan to him. This is all crazy enough without adding to it – so I will. Because Professor Porter’s name suggests one final Disney connection. Another Disney movie I did not previously consider to be fictional, which could actually contain more references to him by his daughter’s film studio. A film with an eccentric, inquisitive wizard, who shares more than a passing resemblance to Professor Porter, and whose pet owl shares his name. Because really, how common is the name ‘Archimedes’? This entry was posted in The Disney Theories and tagged Disney, Head Canons, Movies, Tarzan, The Sword In The Stone, Theories. Bookmark the permalink. Didn’t Disney reveal that it was from Wreck it Ralph? It doesn’t connect to the Pixar theory. How can it when neither of those movies are from Pixar. Fixed. Thanks for pointing this out! The Sword and The Stone can’t be fictional because we see Madam Mim’s influence in the Princess and The Frog. I agree with all of this except the idea of Stitch being made into a movie that spans to Treasure Island. We don’t know the extent of alien influence or ability in this universe. Who knows how long the experiments live or if they can travel through time etc seeing as Pumbaa and Timon show up in Hawaii thousands of years later (as long as we connect Scar to the Nemean Lion in Hercules). Ok so just thinking out loud what about Elsa and Jack Frost?? Like is there somehow they could be connected or no?? good point!!! i thought that too…does anyone know? because this means another theory connecting frozen and the rise of the guardians which don’t seem to be connected to anything other than the real world. ROTG is not Disney. I’ve always been for Jelsa, but there is no way there is any real connection. As crazy and cool all of these theories are, the last part of your theory where you say that The Sword in the Stone is one of Jane’s Movies, can be considered partially incorrect. 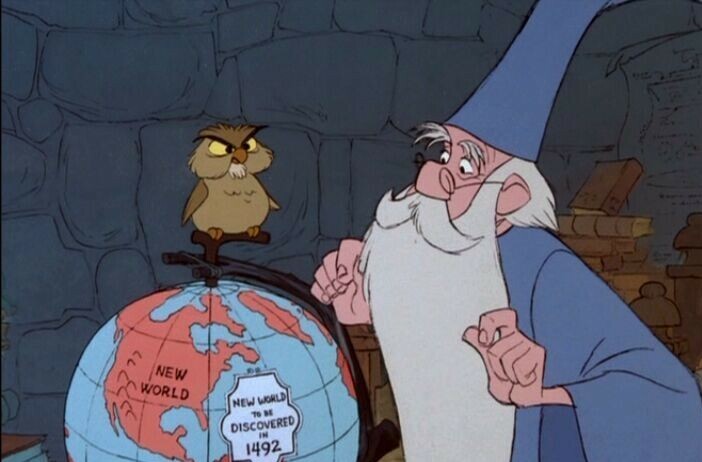 The movie The Sword in the Stone was based of the first part of the novel The Once and Future King by T. H. White, where Merlin has a pet owl named Archimedes. Disney based the majority of the events in the film off of the book. Unless you want to connect real life to the Disneyverse (or say that T.H. 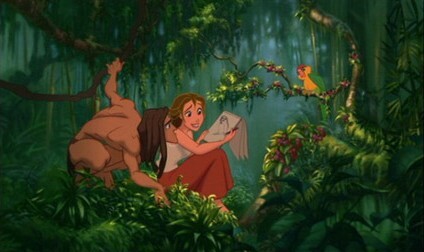 White is somehow connected to Jane and Tarzan, who existed in real life, making the whole Disneyverse part of our universe), you might want to see if the movies are based off of novels. Similar to JK Rowling, with descrimination against women, Jane chose a gender-neutral pen name(though random, lest someone would like to connect the names for me). Perhaps the studio decided it wouldn’t be best to make the movie, and Jane (maybe even a coworker at the studio or friend named TH White) published her screenplay as a book. With such great reception, the studio ended up making the movie, albeit edited from the original that White(possibly Jane) published. Solved. Personally, I think it is probably a friend of hers. In addition, Paris and the French Revolution are in both universes. Why can’t some people? Sorry-one more thing. White published The Sword in the Stone in 38, and the complete Once and Future King was published together in 58. (1900s) So perhaps a descendant of Jane’s or just the studio in general got the rights back from White, who happened upon the old screenplay, to make the movie. But even more. Now were co sidering White is the same man as real life, our White grew up in Bombay,or at least was born there, in British India. So he had experience with the comparison between ordinary and exotic right away. Perhaps he read about this old filmmaker Jane and was excited about her life, similar to hid. Being a fanatic, when he learnedly of a screenplay never made into a film, he scoured antiwlque shops for it, and when he found it, published it as a book. But is Tarzan a book? Just an idea for any future post connecting both motion pictures with animations. That explains two things. First: Why there are teapots that look like Mrs. Pots and stuff because if it’s great looking stuff people will want it. Second: Why Rapunzel has books of three different princess movies. 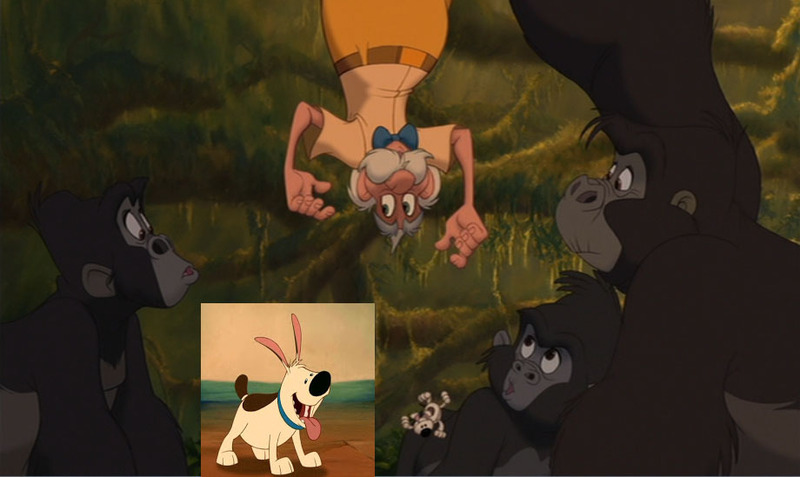 In the picture with Jane, Professer Porter, Tarzan, and the guy with the pipe in in his mouth, The guy with the pipe in his mouth looks like Tiana’s father, because her father did die way before he should have, so is it a possiblitiy that he was very old, older than usual. If the Duke of Weasel Town is Prince Adam’s grandson, then who is his father? And who is the professor’s father? I’m confused. Maybe these are movies but they are non fiction? A pendant for balance might rate to the necklace in Atlantis. I think Disney should make one movie with all of the connecting movies tied together. They could just show the important events in each film and how each one connects to the next important event. For example: If the Frozen/Tarzan theory is real, then they could go more in depth with the ship wreck and show Elsa and Anna’s parents wash up on the island where they had Tarzan. Then maybe it could switch over to when Ariel finds the ship, and so on. Disney should seriously consider this! !